Superbugs--a silent epidemic quietly sweeping their way across the United States--are antibiotic-resistant germs brought about by the overuse of disinfectants and the absence of strict cross-contamination controls by the custodial department. 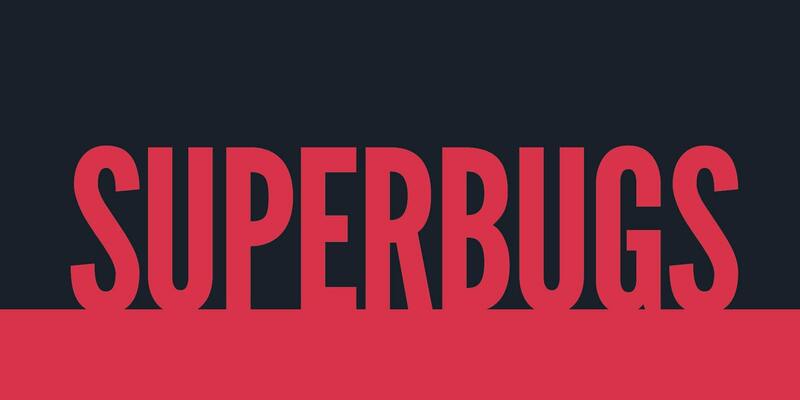 Superbugs are antibiotic-resistant strains of disease-causing bacteria that have led to the infection of millions, as well as the annual deaths of tens of thousands of people, just in the U.S.
A superbug is a disease-causing bacteria that is immune to treatment with antibiotics. For example, one of the most common superbugs is Methicillin-resistant Staphylococcus aureus (MRSA), which is caused by a super-resistant strain of staphylococcus bacteria. The World Health Organization (WHO), the U.S. Centers for Disease Control and Prevention (CDC), and others consider the global epidemic of these antibiotic resistance to be one of our biggest health threats. In 2013, CDC published a comprehensive analysis outlining the top 18 antibiotic-resistant threats in the U.S., titled Antibiotic Resistance Threats in the United States, 2013 (AR Threats Report). The report sounded the alarm to the danger of antibiotic resistance, stating that each year in the U.S., at least 2 million people get an antibiotic-resistant infection, and at least 23,000 people die. Clostridioides difficile (C.diff) - Causes life-threatening diahreah and colitis. Drug-resistant Neisseria gonorrhoeae - Causes the sexually transmitted disease gonorrhea. The rise in infections and deaths has led doctors in Scottland to call for the regulation of disinfectants in hospitals on par with antibotic use. Superbugs are typically spread through direct contact--either through abrasions and the transfer of blood, or via contaminated hospital equipment. However, common bacteria, such as C.diff and E.coli, can remain resident on hard surfaces, pass to a person via hand-to-surface contact and then ingestion, and transform into an antibiotic-resistant superbug, underscoring the importance of high-performance cleaning and infection control procedures, especially in medical, child, and long-term care facilities for the elderly. Ensuring the provision of touchless handwashing, paper towel, and hand sanitizer stations. Equipping and training a team in the safe and proper use, handling, and storage of EPA certified Category IV disinfectants. Regularly disinfecting germ hot spots and high-contact surfaces. Replacing your current mops with microfibers mops with flat heads. Employing color-coded microfiber cloths assigned to specific areas (rooms, surfaces, and floors). The actual number of deaths and infections tied to superbug infections is unknown due to the fact that only infections and deaths in hospitals are recorded--those originating in long-term care facilities for the elderly, for example, are excluded. Additionally, young patients admitted to hospitals have tested positive for many of the bacteria, demonstrating its ability to spread in local communities outside of the healthcare environment. While the discontinuation of antibiotics and chemical disinfectants is currently unrealistic due to a lack of viable alternatives, numerous examples show that regulating their use to absolute necessity and focusing on cleaning for health first procedures that avoid the use of chemical disinfectants can have a positive impact on the reduction of the instance of superbug emergence. Proper custodial maintenance requires a well-trained staff--something in increasingly short supply in the commercial janitorial industry due to high turnover. The absence of an experienced team can be disastrous when dealing with these types of highly contagious and very dangerous germs. For organizations that lack the resources to fund, train, and retain a team of specialized service providers, outsourcing to an established organization with a proven track record of retention and customer satisfaction is a highly compelling solution to fast-track the onboarding of all of your facilities' infection prevention and control requirements.